Ischemic heart disease, a condition wherein the heart does not get enough blood, is known for its high mortality risk. In fact, it is the second leading cause of death in China. Because of this, it is important to find effective treatments for it. 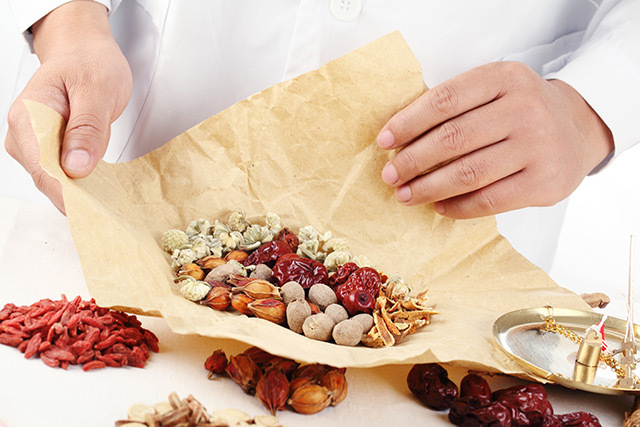 Researchers from the Beijing University of Chinese Medicine found that Yiqihuoxue, a decoction commonly used in traditional Chinese Medicine, is effective against ischemic heart disease. Their study, which was published in BMC Complementary and Alternative Medicine, used in vitro experiments as well as an in vivo model for myocardial ischemia. People with ischemic heart disease can suffer from cardiomyocyte loss, ventricular remodeling, and heart failure. Moreover, it can also cause complications like heart attacks or myocardial infarction, which is often accompanied by mitochondrial dysfunction in the cardiomyocytes. Mitochondria formation involves many factors such as peroxisome proliferator-activated receptor gamma coactivator (PGC-1-alpha), nuclear respiratory factor 1 (NRF-1), transcription factor A mitochondrial (Tfam), and adenosine monophosphate-activated protein kinase (AMPK). However, the mechanisms through which these factors are affected during heart attacks are poorly understood. Yiqihuoxue decoction is made up five medicinal herbs, namely astragalus (Astragalus membranaceus), female ginseng (Angelica sinensis), Panax ginseng, Szechuan lovage (Ligusticum wallichii), and Chinese ginseng (Panax notoginseng). This traditional Chinese medicine is used as a treatment for different cardiovascular diseases since it promotes the formation of new blood vessels, reduces inflammatory response, and regulates ventricular function and energy metabolism. Previous studies have shown that Yiqihuoxue has significant effects in rats after they had a heart attack. However, the cardioprotective effects involving PGC-1-alpha of this decoction has not been thoroughly investigated. In this study, the researchers determined the chemical constituents of the Yiqihuoxue. Afterward, they proceeded to determine the effects of the decoction on cardiomyocyte cell cultures and rats with myocardial ischemia. From this study, the researchers concluded that there are 87 chemicals in Yiqihuoxue, which are possibly responsible for its cardioprotective activity against ischemic heart disease. Moreover, they observed that the decoction upregulates PGC-1-alpha, NRF-1, and Tfam, through AMPK-mediated phosphorylation. These results prove that Yiqihuoxue has potential use as a treatment for ischemic heart disease.